Looking for an attractive window treatment solution for oversized windows or sliding glass doors? 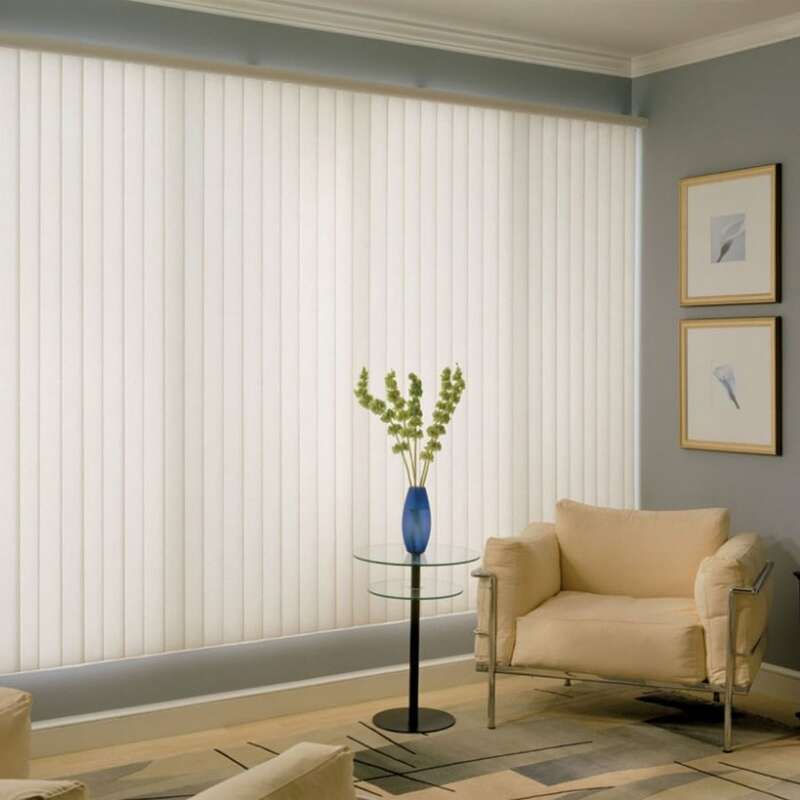 Then you need to consider vertical blinds from Home Impressions Inc.. Providing both privacy and light control, vertical window blinds offer flexible coverage, simple operation, and great looks. They even move out of the way for easy access to doors! The ideal solution for larger windows and doors, vertical blinds are a high-performance, beautiful window treatment option for both casual and formal decor alike. At Home Impressions Inc., we offer a variety of options when it comes to vertical window blinds, so we’re sure to have one that’s right for your style and your home. Our window shade and blind specialists can work with you to help you find the best vertical blinds for your home or office, so give us a call today. This is the style most people think of when they hear the term “vertical blinds.” Constructed from a series of hanging slats, this classic look in vertical blinds offers practical coverage for screening your large windows and patio doors. Generally made from durable PVC, these vertical window blinds are low maintenance and easy to clean as well as attractive. Home Impressions Inc. offers traditional vertical blinds in a full rainbow of colors and even patterns designed to coordinate with any decor. A simple solution for increasing privacy and light control, our vertical window blinds are a great choice for any home. Perfect for casual and formal tastes alike, sliding panel vertical blinds offer fabulous style and performance for your home. Combining the traditional look of vertical blinds with today’s focus on versatility, sliding panel verticals offer you the easy function of traditional vertical blinds, but with a sleek, modern look. In place of hanging slats or vanes, these vertical blinds features several track-mounted panels. These panels slide back and forth to provide you with full or partial coverage. 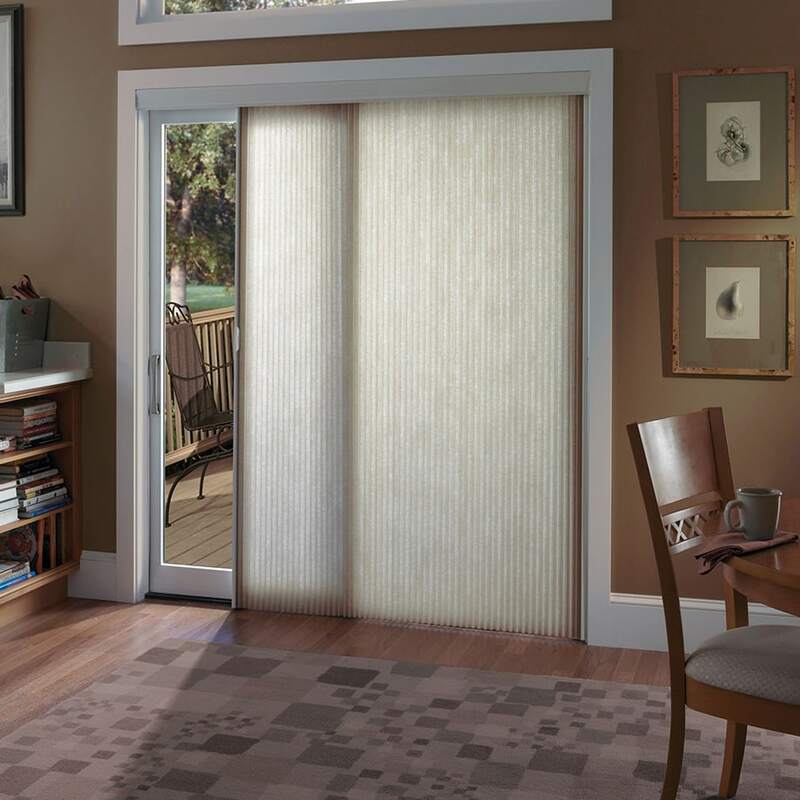 Bringing you a contemporary, streamlined style as well as great privacy and light-control options, sliding panel vertical blinds from Home Impressions Inc. are the ideal solution for homeowners looking for a more updated style.